Do Natural Herbs Work For Anxiety? If you’re someone who struggles with anxiety, it’s likely you’ve experimented with a few different treatments. You may have tried therapy but found that it’s too expensive to go every week. You might have tried anti-anxiety medications but suffered too many side effects to make it worth it. If this sounds familiar, you’re not alone; anxiety affects 40 million adults in the United States. Chamomile is one option that has been shown to reduce anxiety symptoms. In one study, a pharmaceutical-grade chamomile extract of 1,500 milligrams (a 500-milligram capsule three times a day) was shown to help reduce moderate to severe anxiety symptoms. Of note: Chamomile has been shown to interact with blood-thinning medications, so discuss this with your doctor if you’re on this type of medication. Although it’s mostly known as a culinary herb, saffron is another good option for taming anxiety and promoting mental and emotional balance. One study showed that 50-milligram saffron capsules twice a day helped significantly reduce anxiety. Kava kava has been shown to reduce anxiety significantly in several studies but has also been linked to kidney and liver damage. The FDA recommends caution if you have existing liver or kidney disease, and never take kava kava with alcohol or other medications. Aromatherapy is another alternative to consider. And while data is limited, there is one study showing lavender oil aromatherapy helped patients with anxiety. 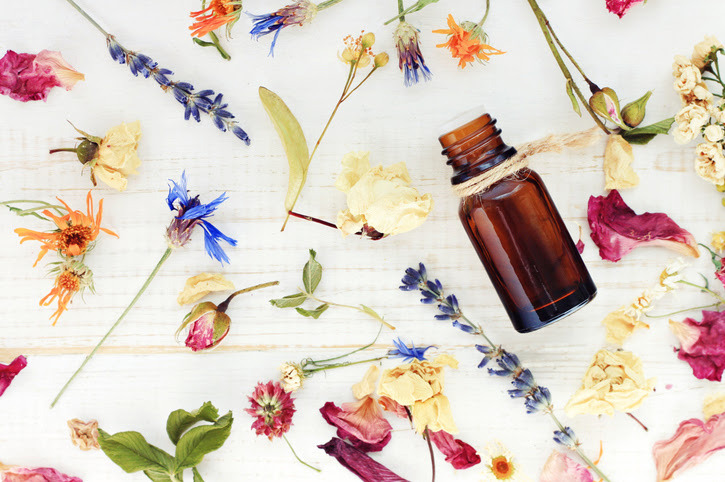 Also, some older trials have suggested that passionflower, St. John’s wort, and valerian have some efficacy, making them other options to consider if you’re going to try herbs. If my patients want to try herbal supplements, I advise them to start with only one at a time and to stick with the same manufacturer, as there can be substantial variation. I also recommend keeping a journal to track of how you feel. Consider writing down a daily anxiety score from 1 to 10 when trying a new supplement and record any side effects you notice–positive or negative. Many prescription medications for anxiety take two to three months to get the full effect, so I would recommend you try supplements for the same length of time. If any unexpected symptoms occur, stop the supplement immediately and contact your medical provider. Originally published on mindbodygreen July 18, 2017. Sign up for the If We Were Family email list to Learn Ten Surprising Signs Your Body Is Telling You It’s Time To Slow Down. Already on the list? Email me at monali.y.desai@ifwewerefamily.com for a copy of Ten Surprising Signs Your Body Is Telling You It’s Time To Slow Down.